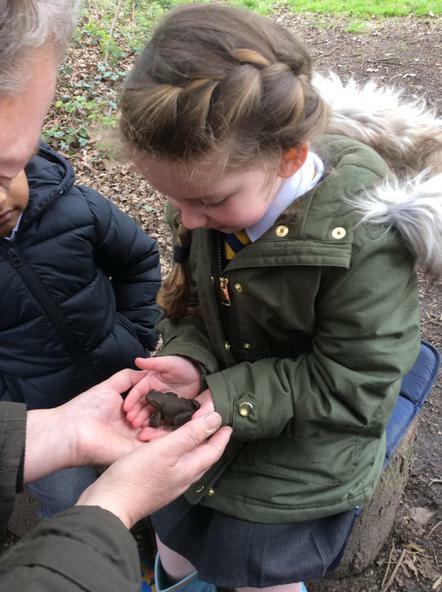 It all started when Holly found some tadpoles in a bucket and brought them in! 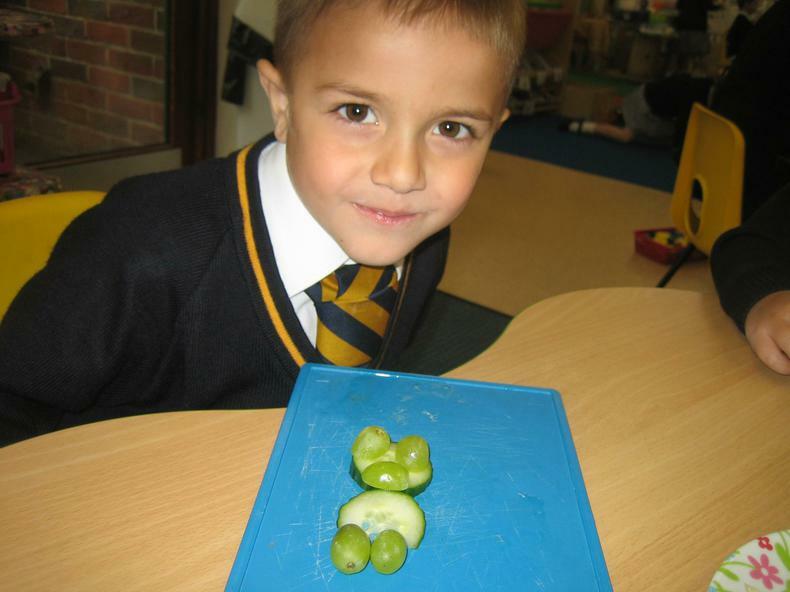 For the whole of this half term the children have been fascinated by them and watched them grow. 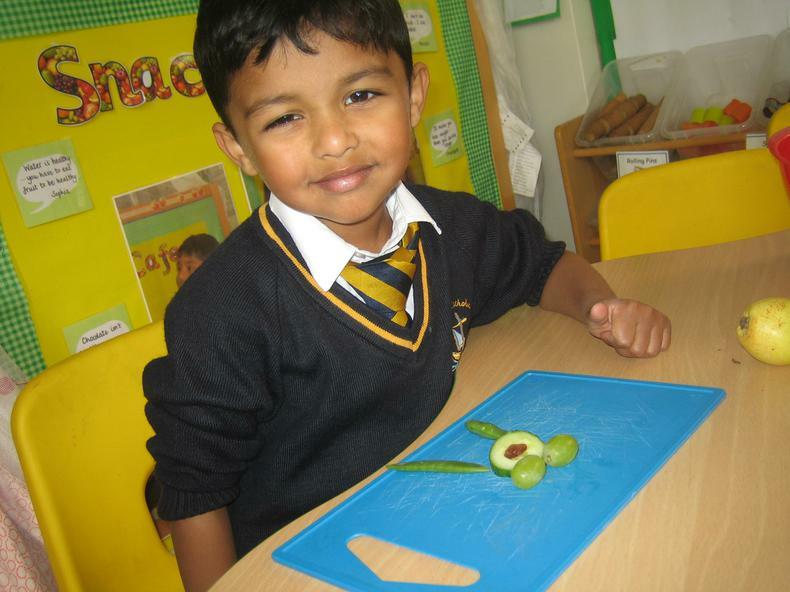 We have learnt lots of new words. 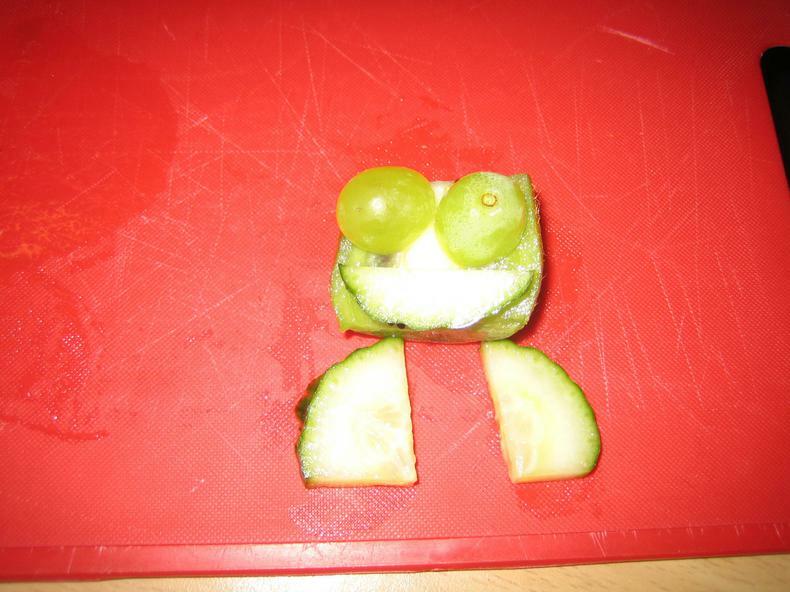 Did you know that "Amphibian" means 2 lives? 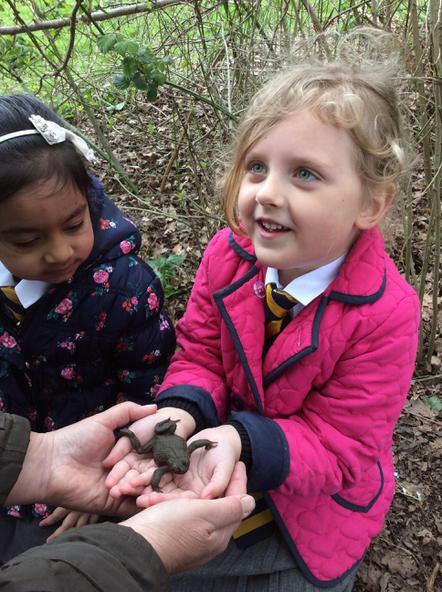 because a frog starts its life under the water and then moves onto the land! 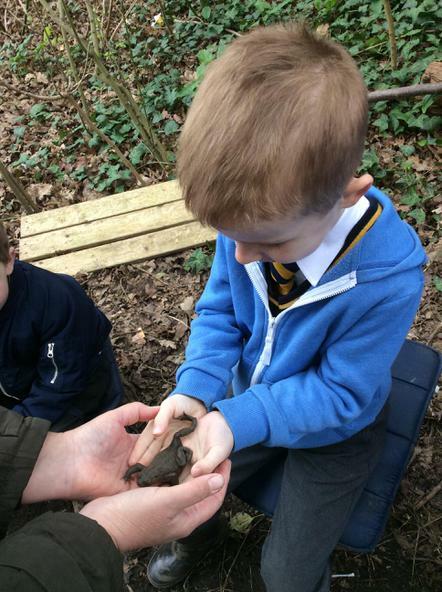 Did you know that a tadpole's tail is "absorbed" back into it's body? 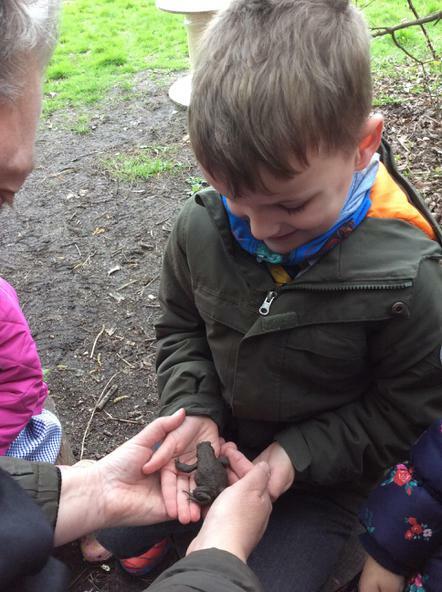 Did you know that a frog's fingers are actually called claws? 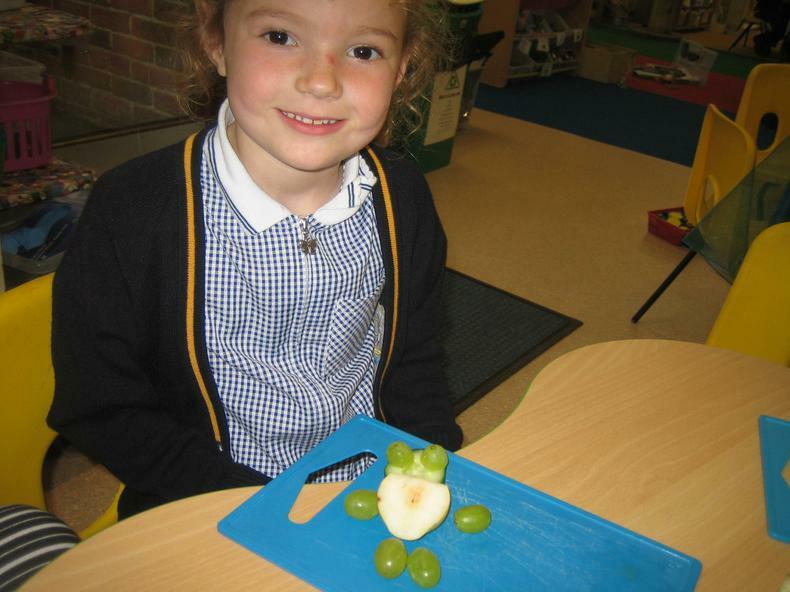 We found out all about this much more when we read through information books about frogs together. 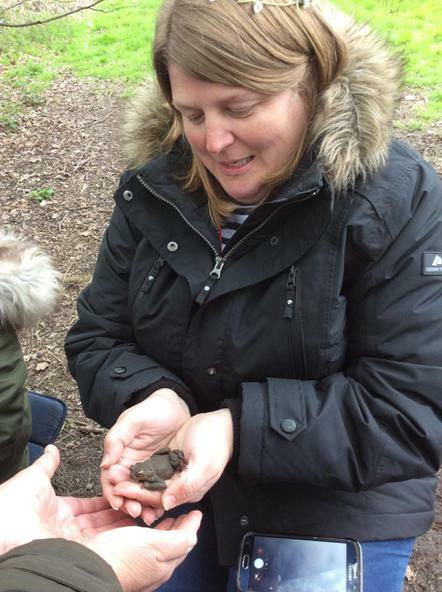 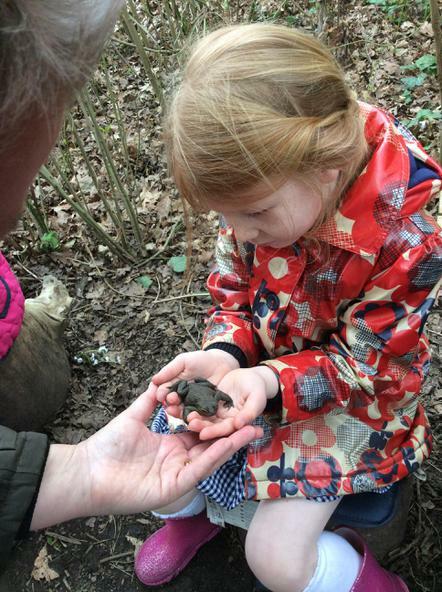 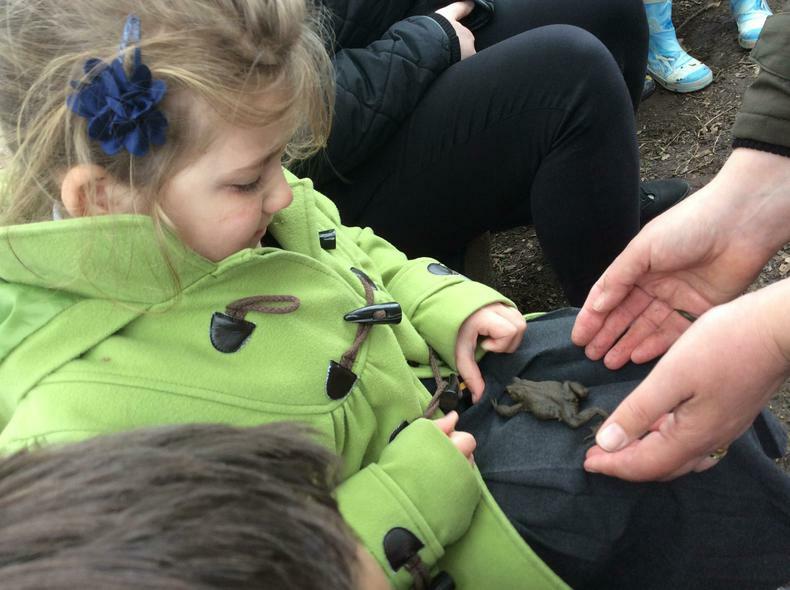 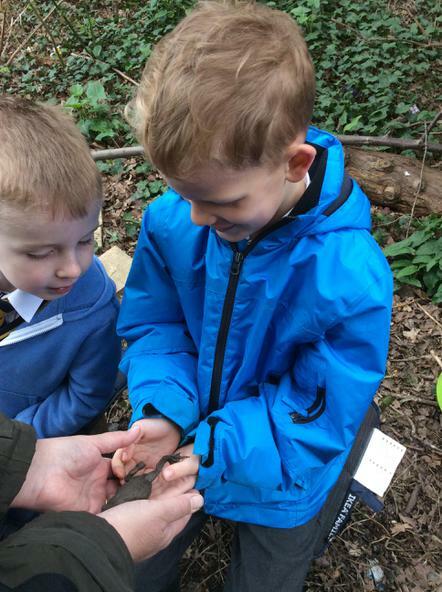 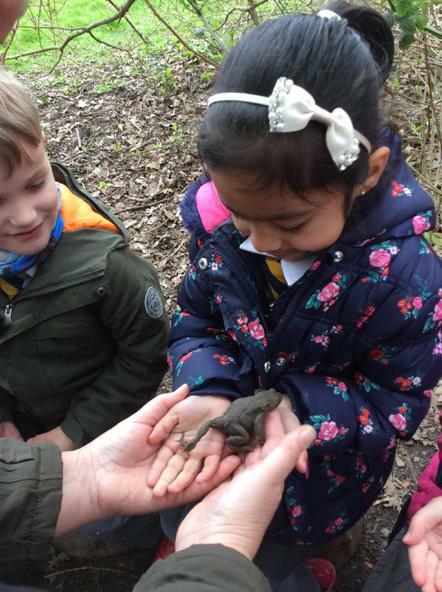 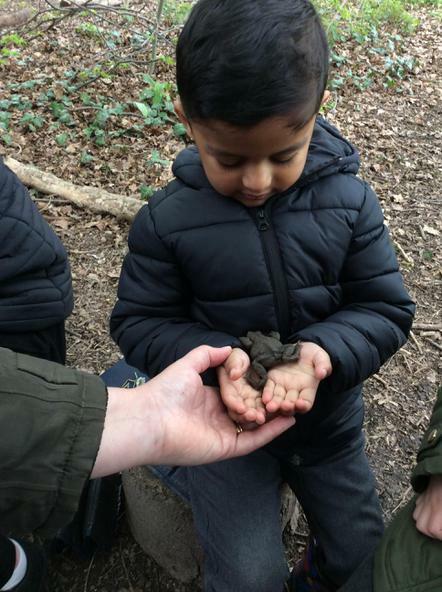 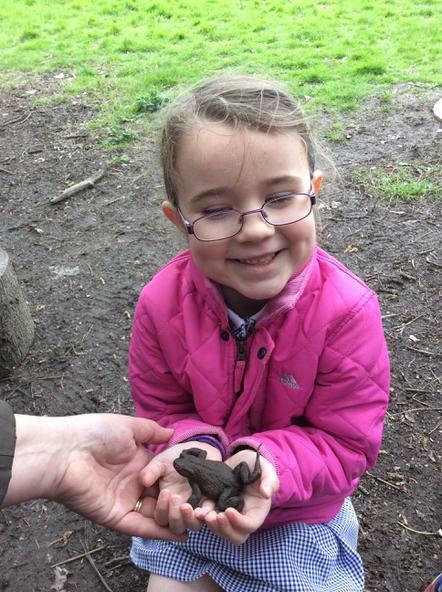 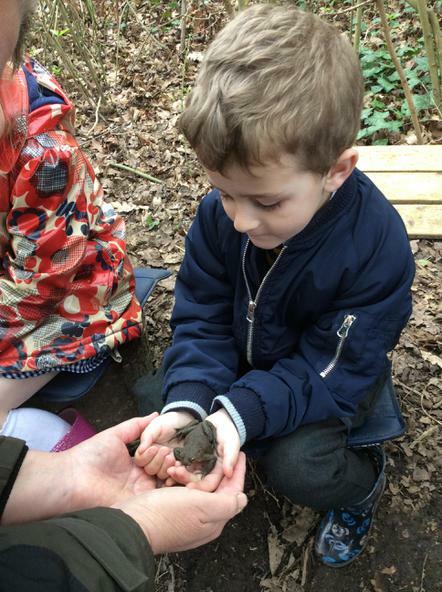 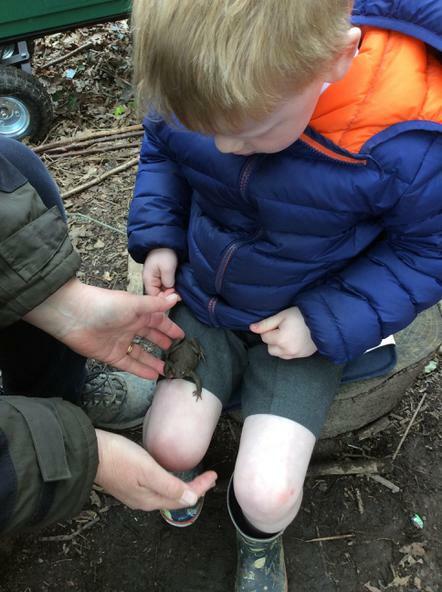 We were lucky enough to have a day of Forest school with Dr Collins and she brought in a toad for the children to handle. 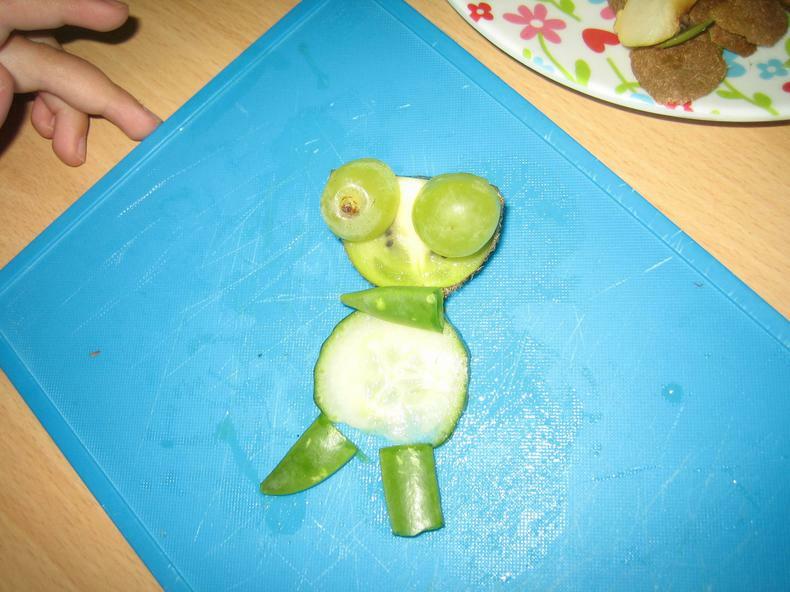 Dr Collins read the children the story of "The Frog prince" and the whole thing captured the children's imagination. 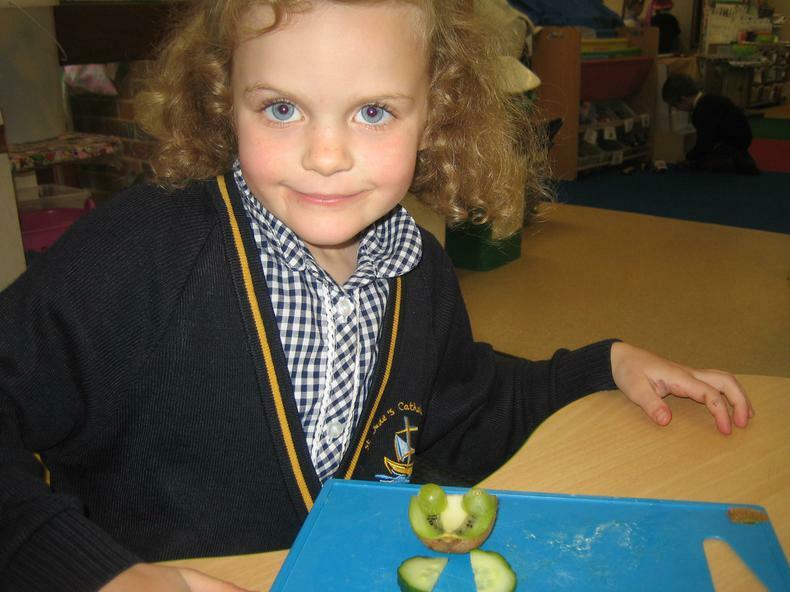 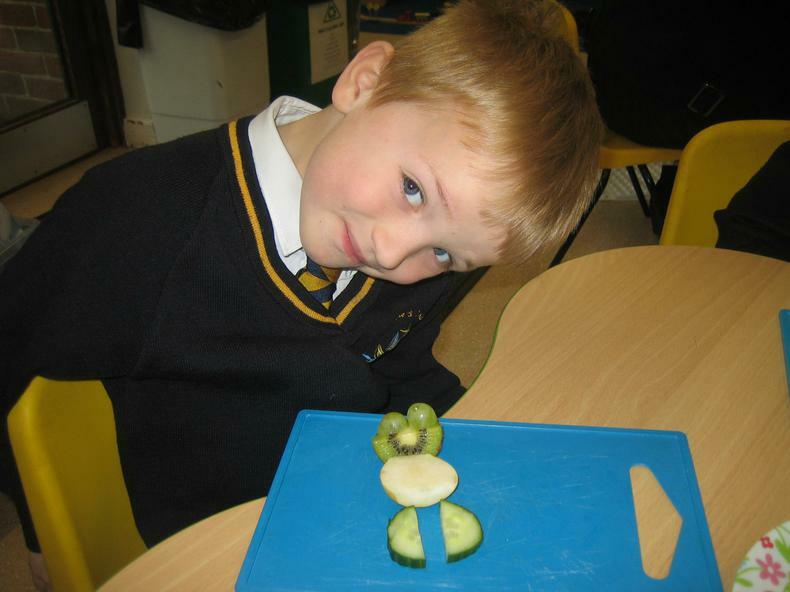 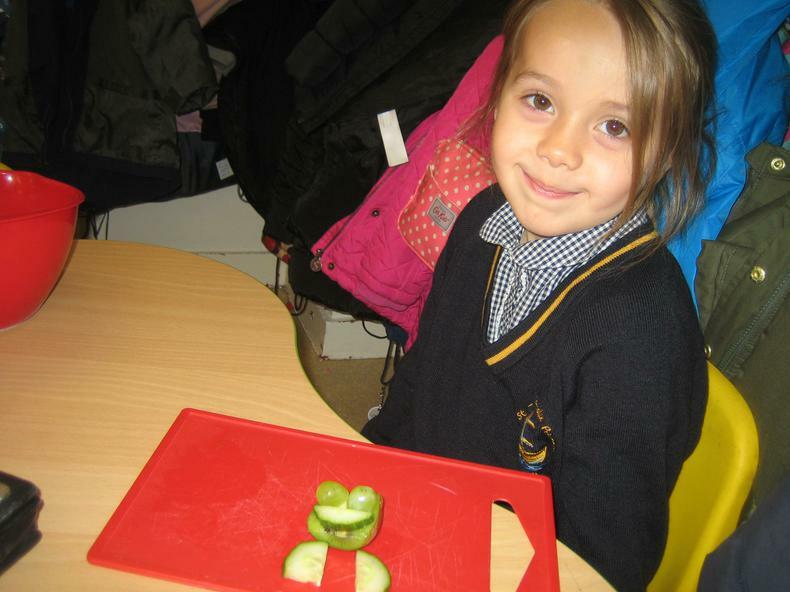 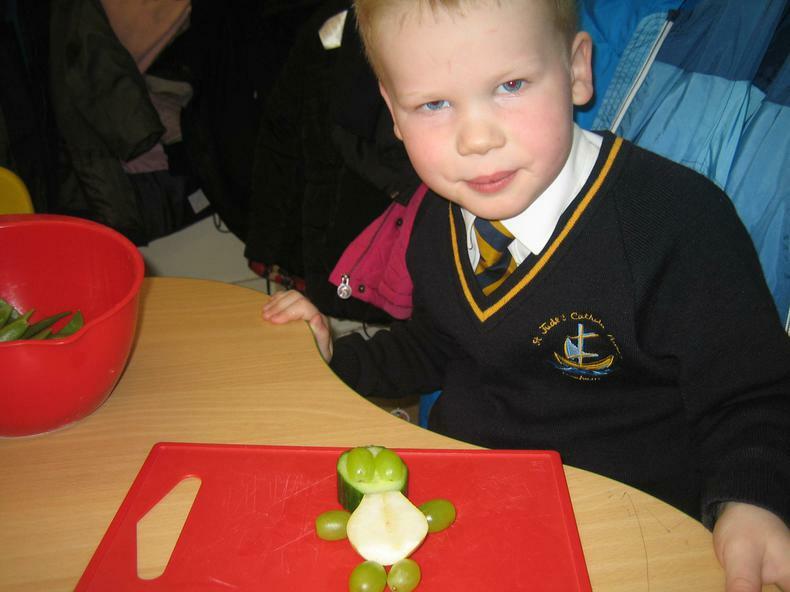 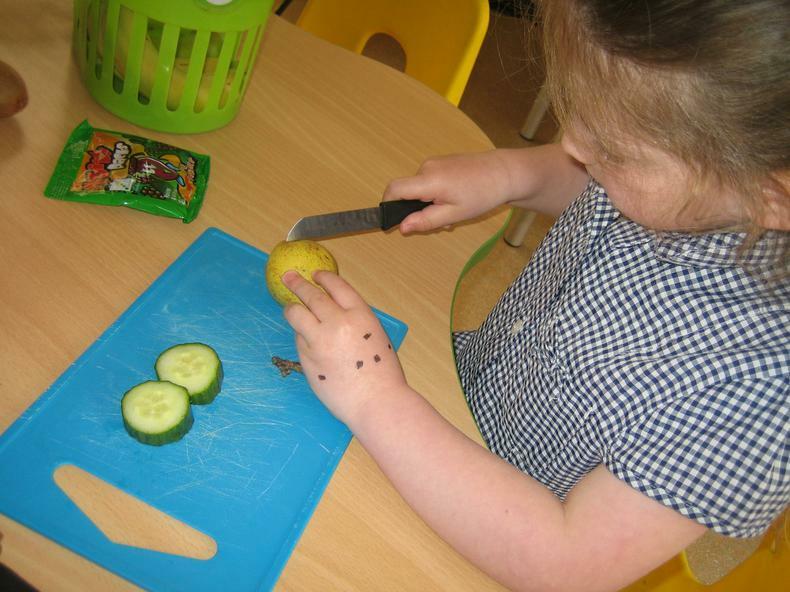 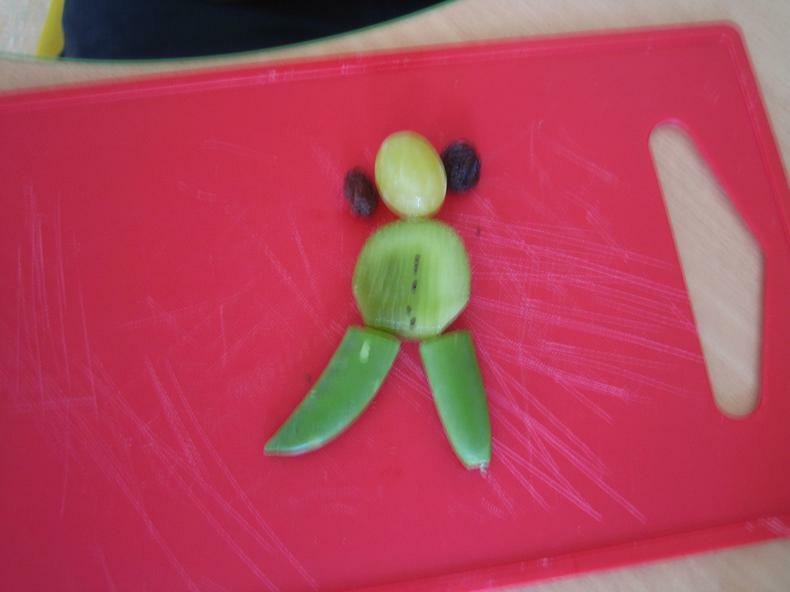 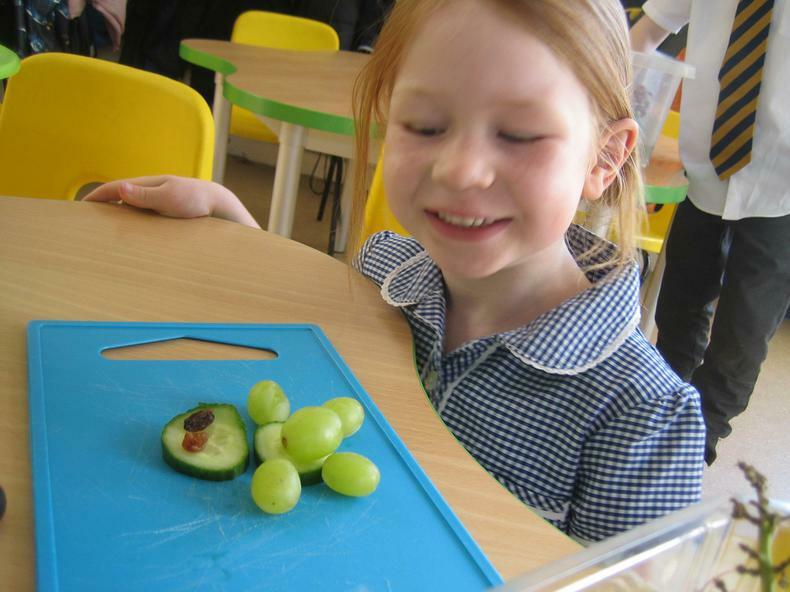 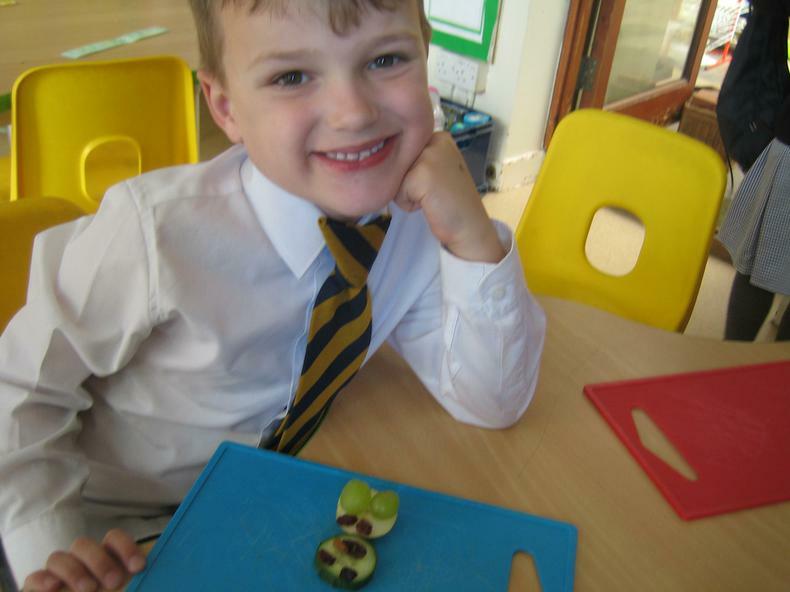 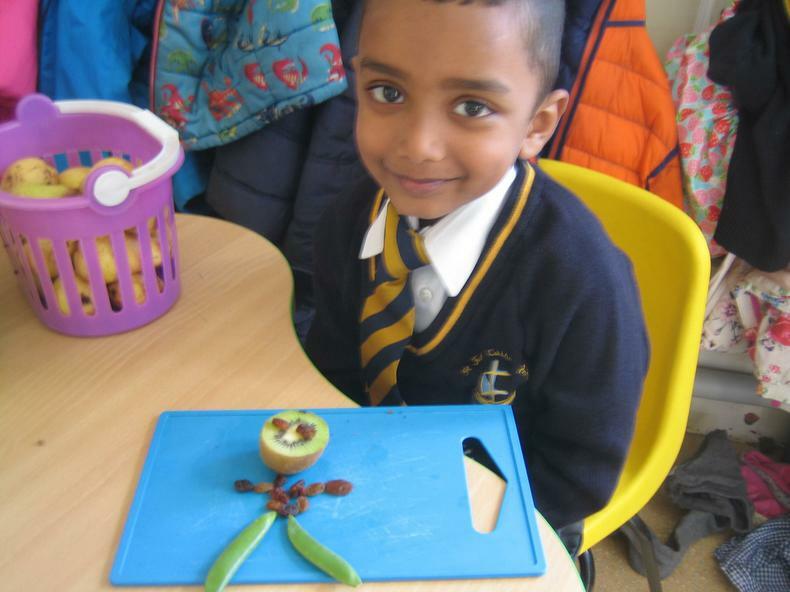 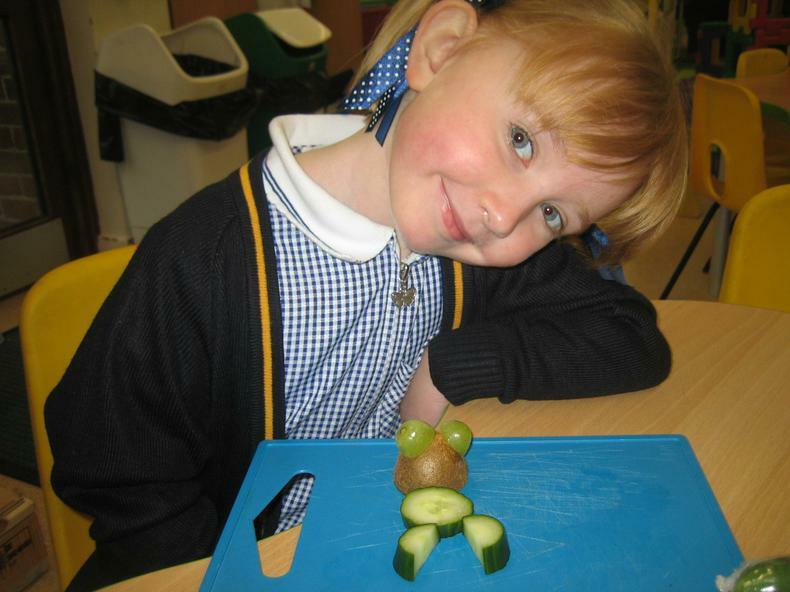 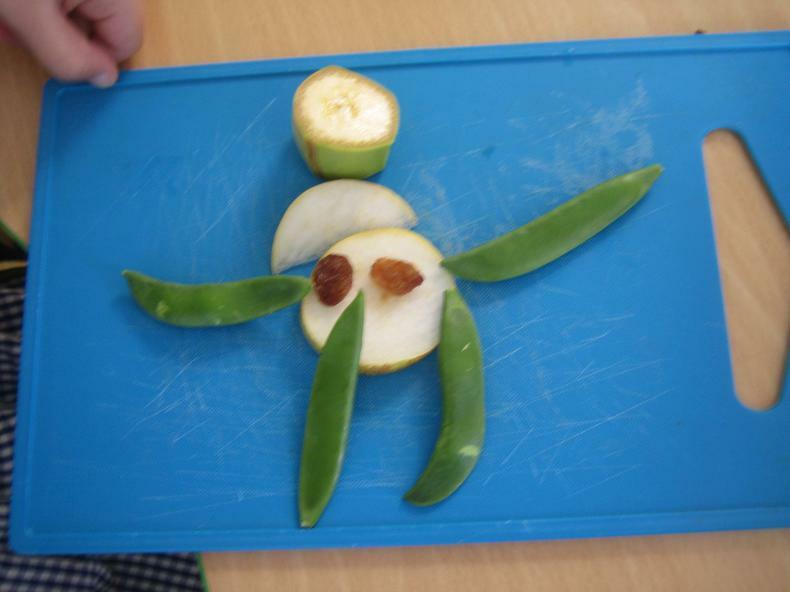 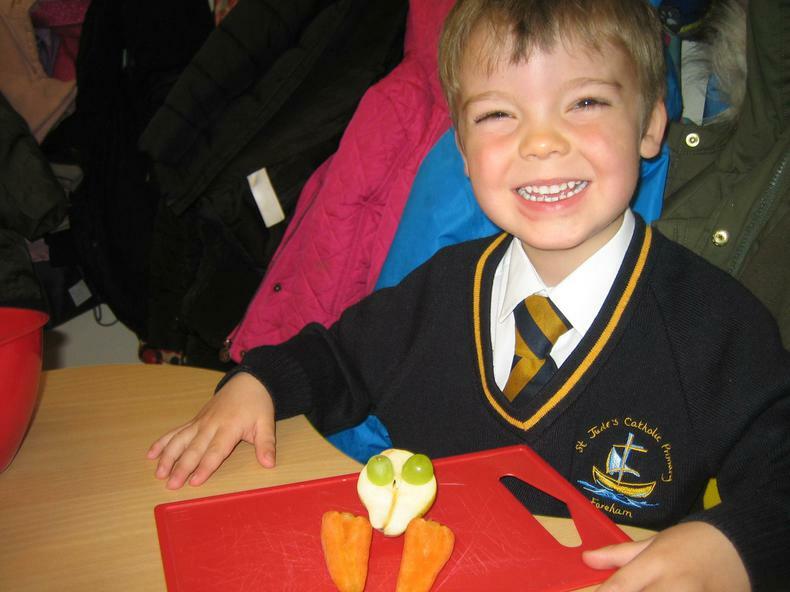 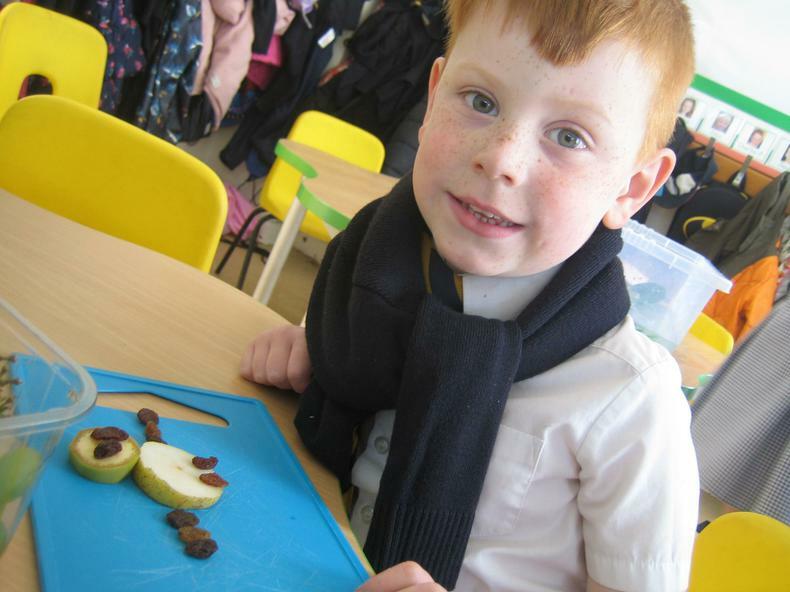 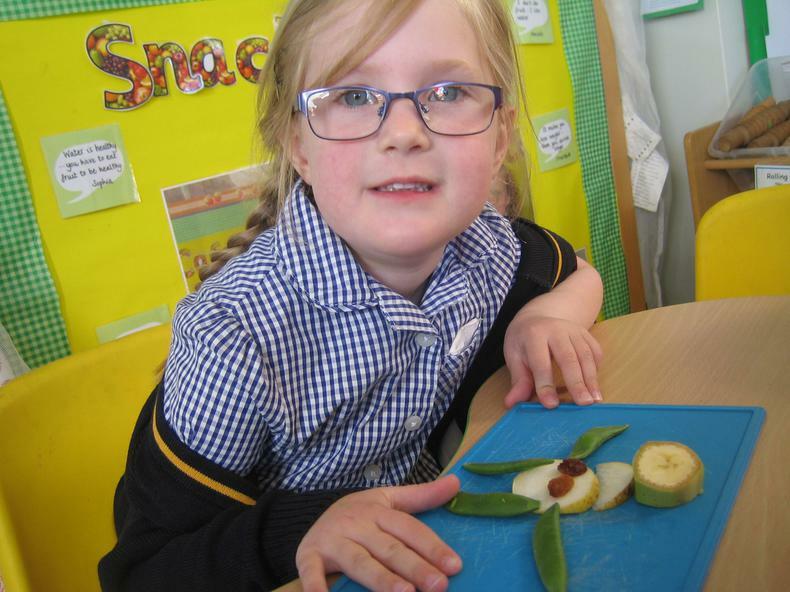 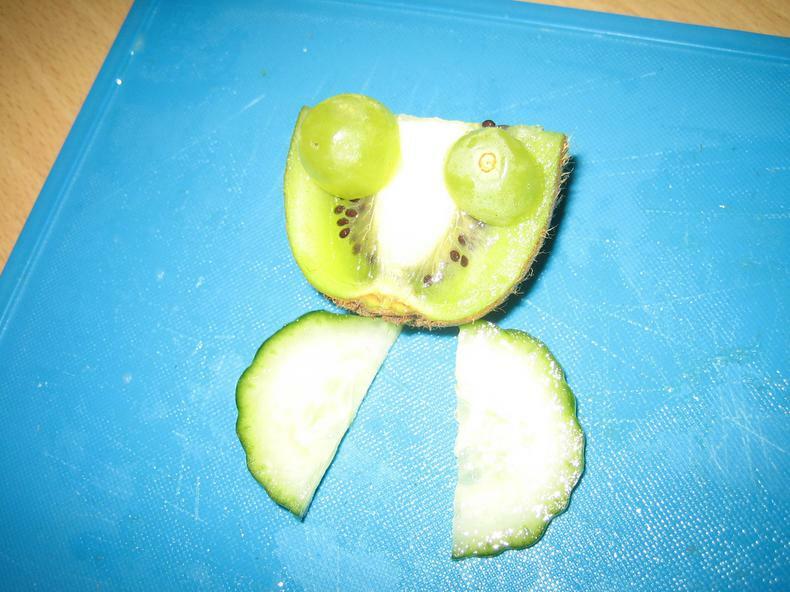 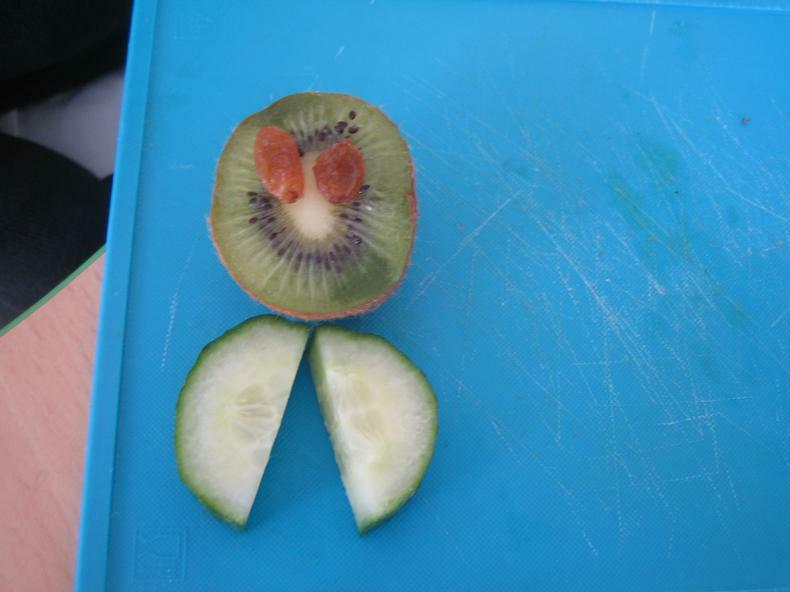 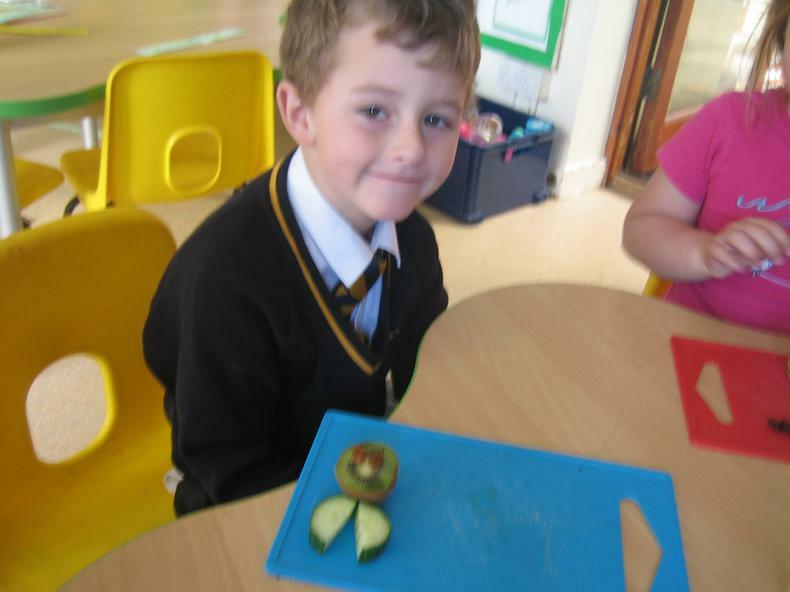 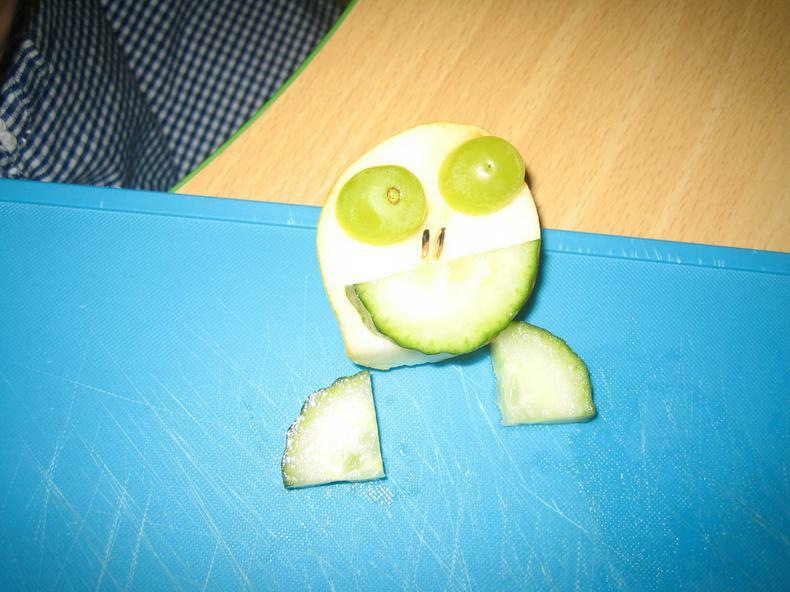 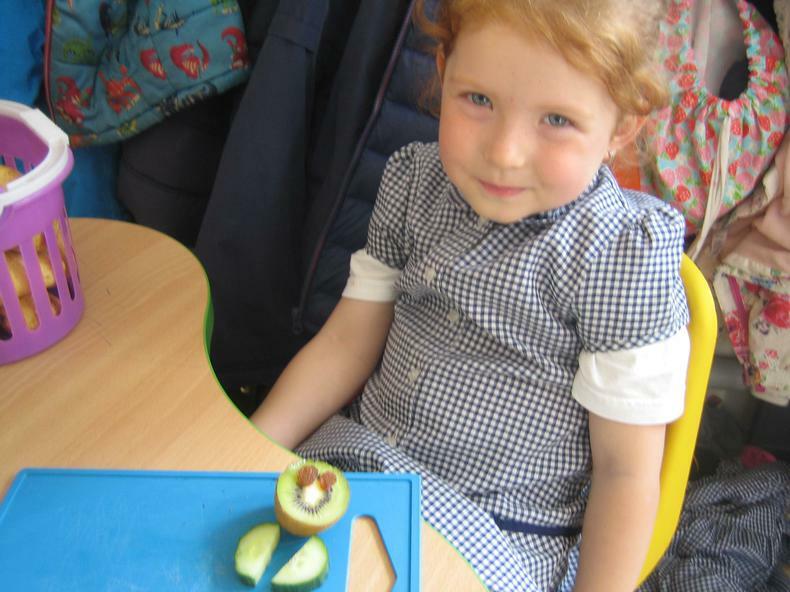 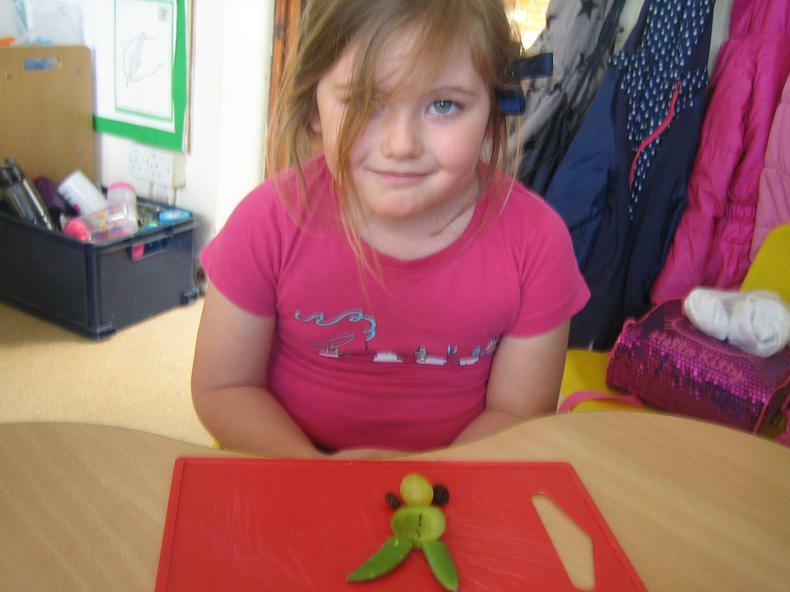 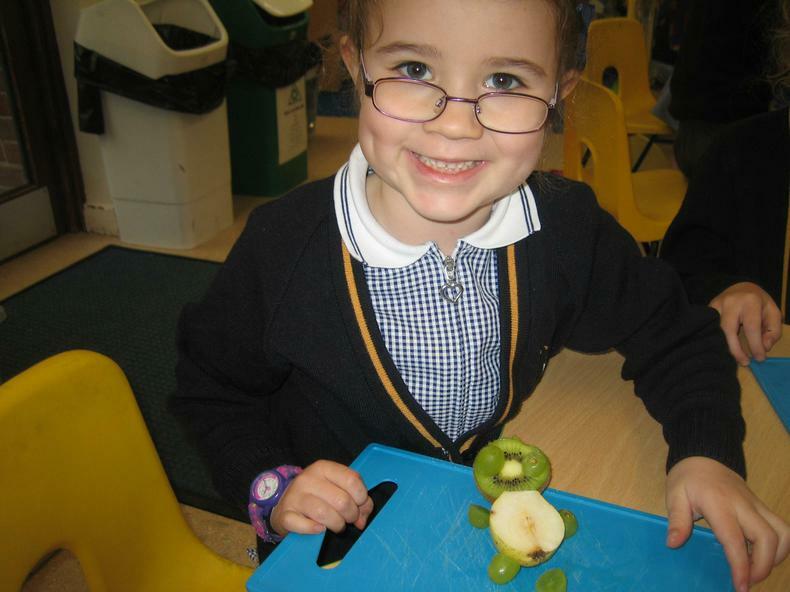 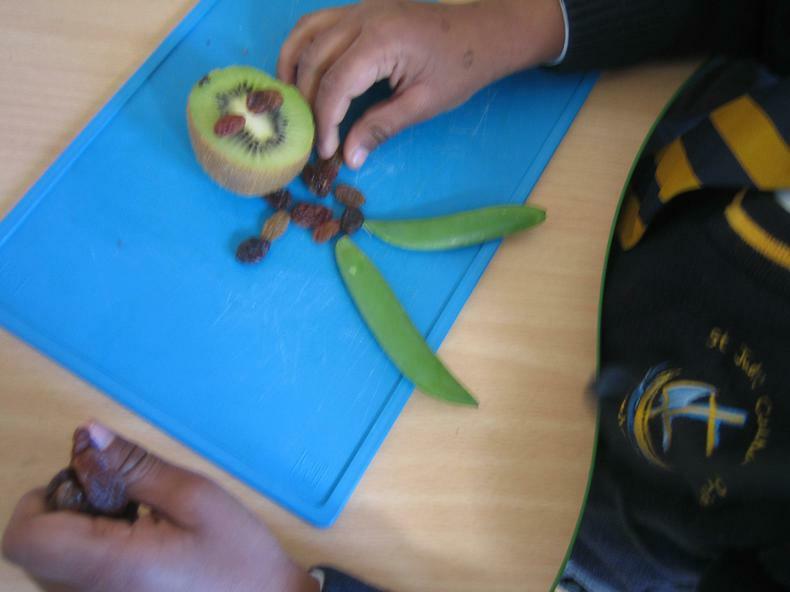 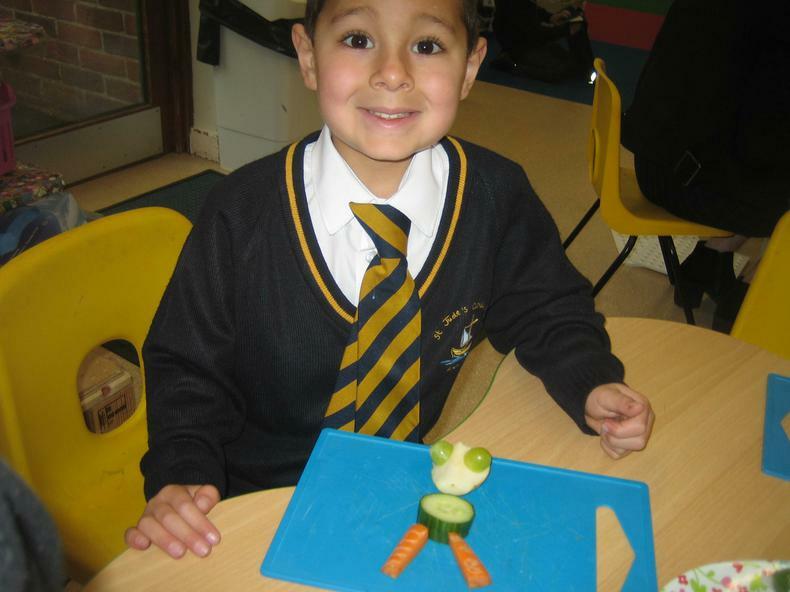 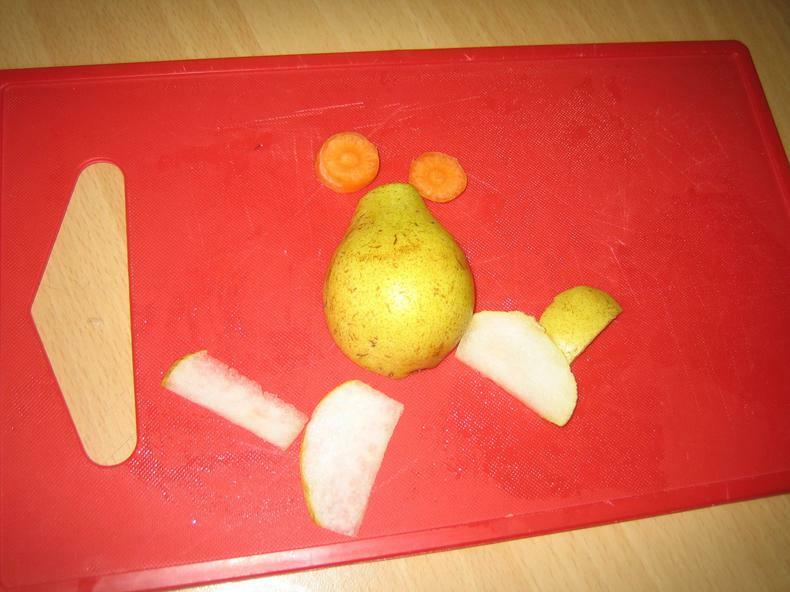 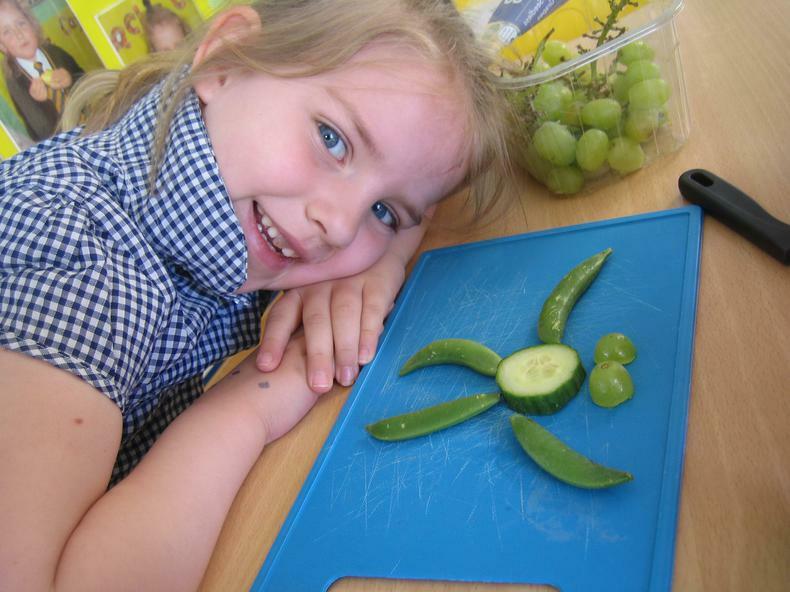 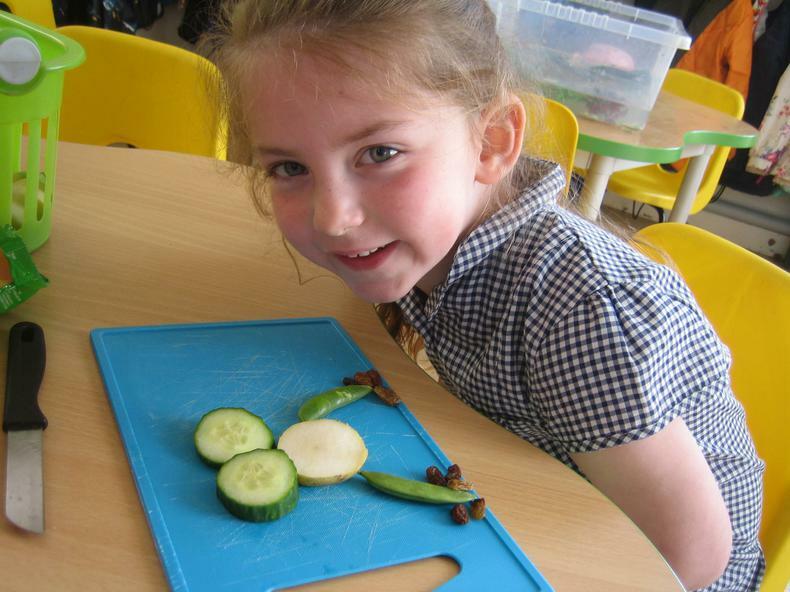 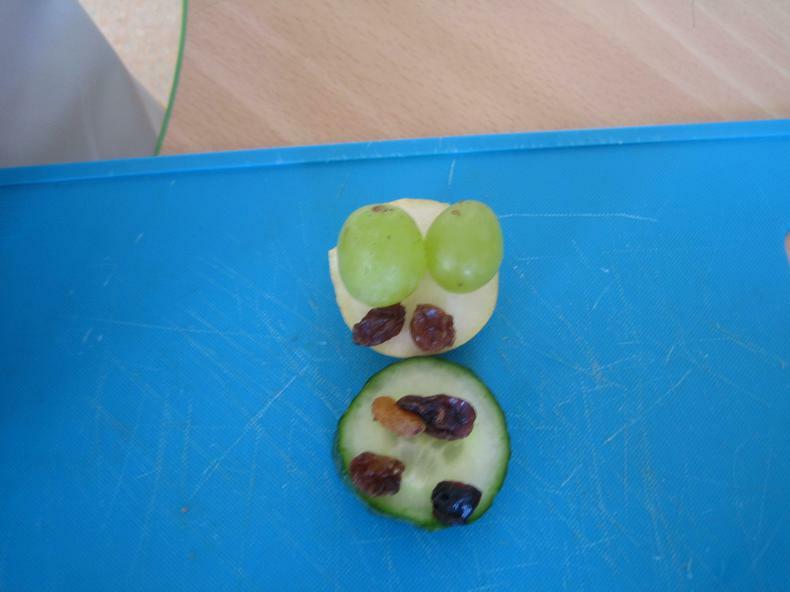 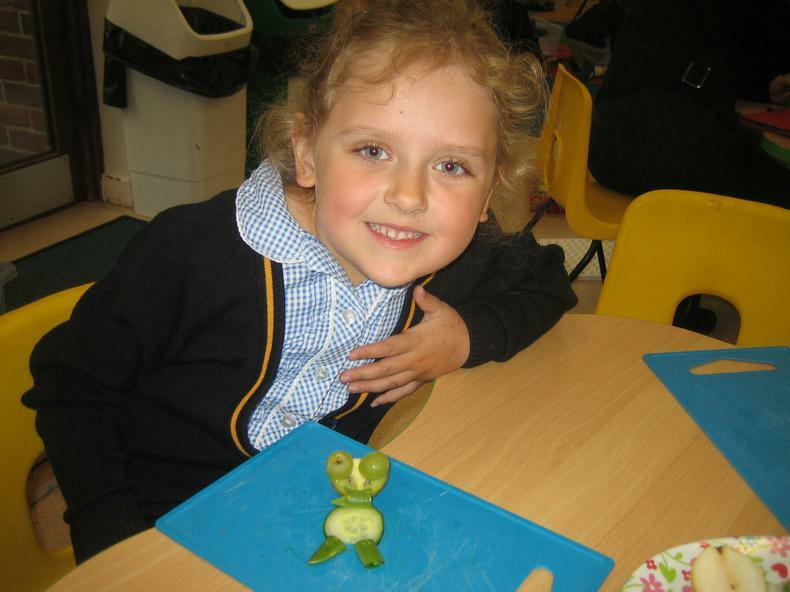 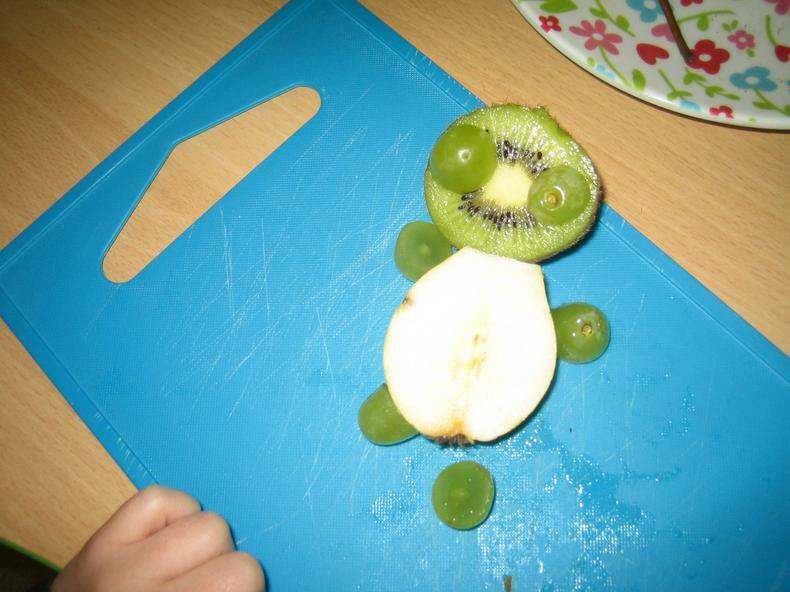 They were keen to do some cooking about frogs, and so we as we have been thinking about keeping healthy with our Golden mile we decided to make fruity frogs!